Henry Owen Fry played his first-ever baseball game on Saturday. In the words of his coach, “he wants it.” Which, at this age, is way more than half the battle. He wants it. 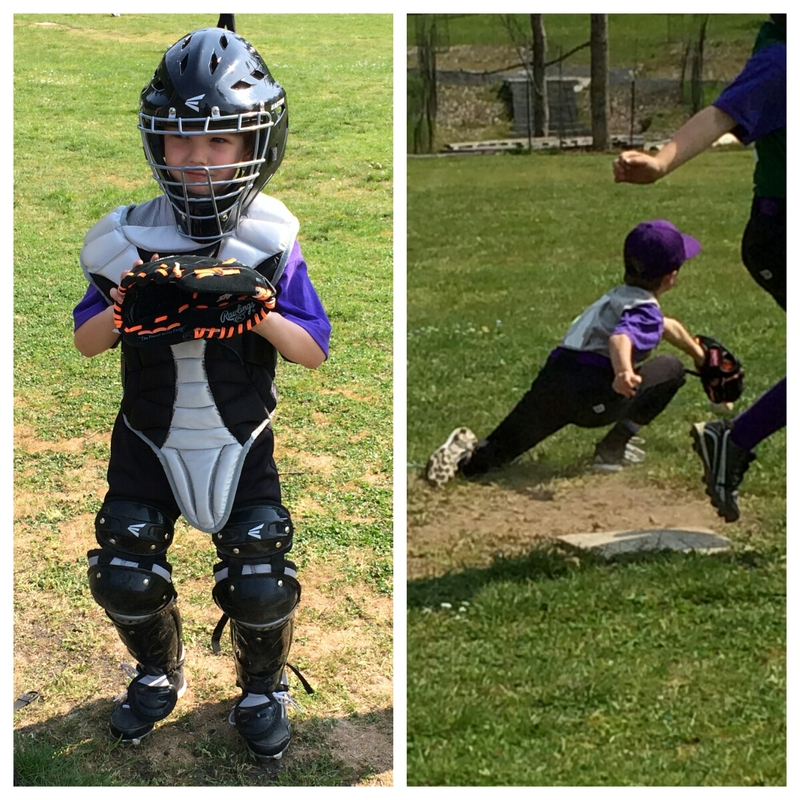 He wanted to play catcher. He wanted to play first base. And he wanted to hit that ball. He did. On his very first at-bat, Henry hit the ball. He was thrown out at first, but we were so proud. On his second at-bat, he hit it again. This time he outran the throw to first. We couldn’t be more proud of Henry “Hank” Owen Fry. Here is his first hit, in slow motion. Spencer Spit, that is. 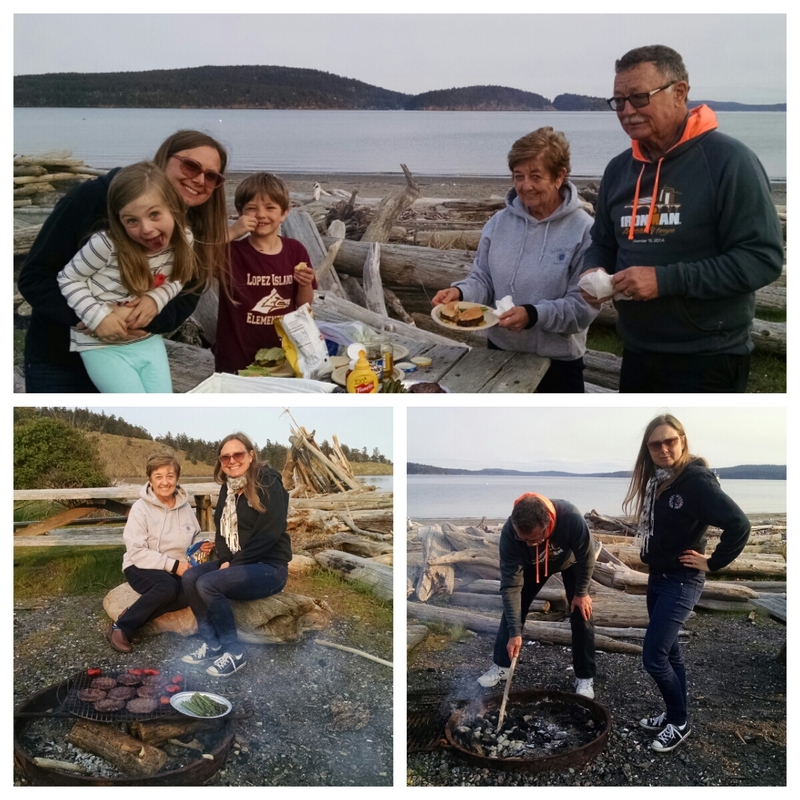 Tonight, to cap another wonderful Lopez visit from Grandma and Grandpa Fry, we packed a picnic dinner to Spencer Spit – our favorite place on Planet Earth. We grilled some burgers and vegetables over the flames, and had a delicious watermelon from Blossom Grocery. Soundtrack for the evening: The Brothers Four – one of my dad’s favorite bands growing up. We’re always sad to see Carl and Kaye leave. Yes, we’ll miss their wisdom and good company. We’ll also miss their babysitting and ability to fix things around Fry Lodge. Please come back soon, mom and dad! 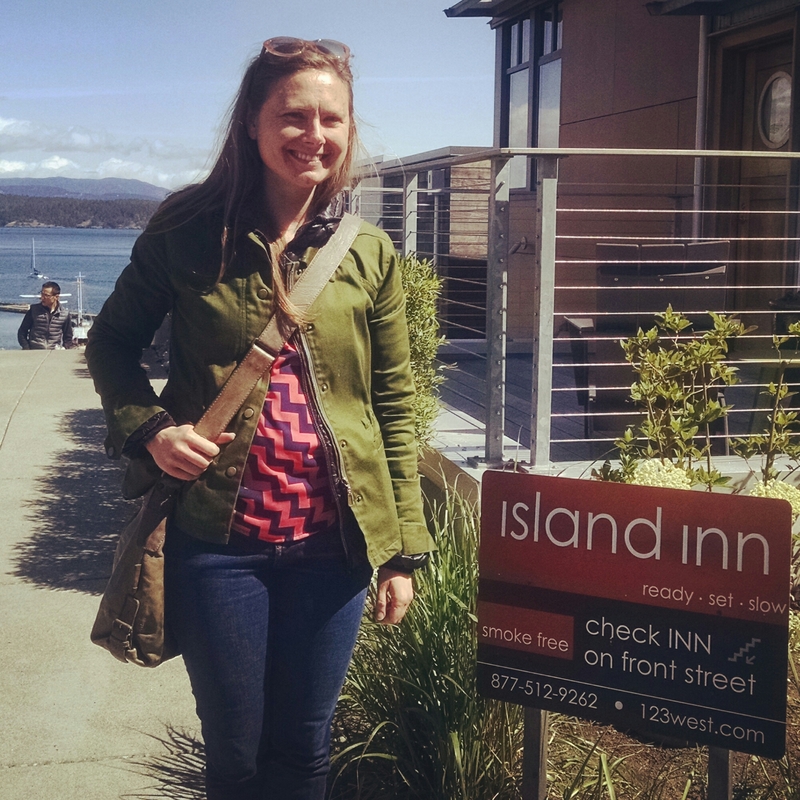 Kristine and I are wrapping up our time away from the kids while celebrating Kristine’s birthday today in Friday Harbor. Beautiful day. Beautiful best friend. Happy birthday, Kristine. 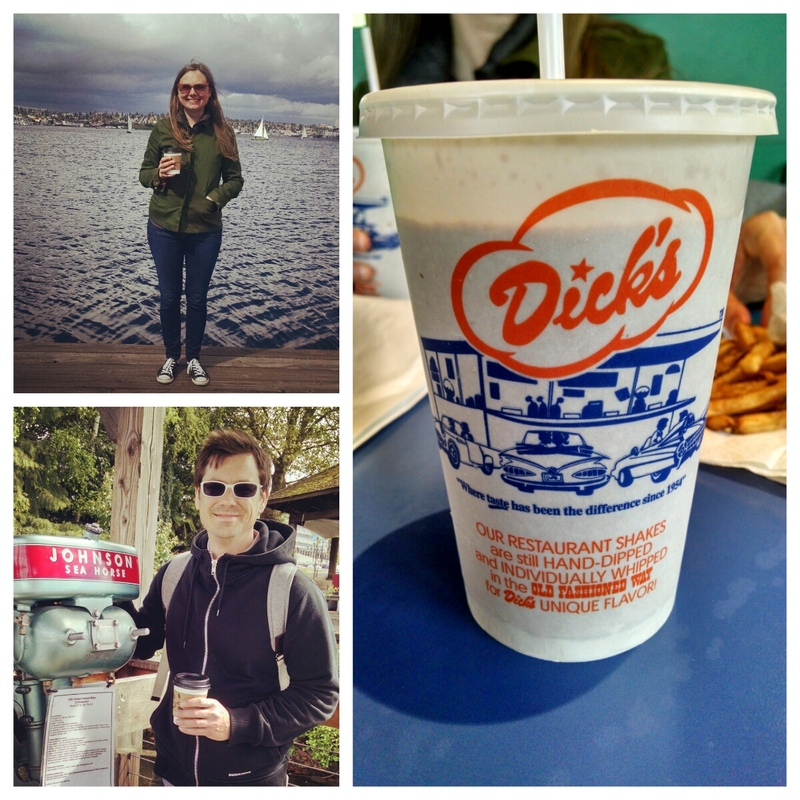 The Fry Family Quartet is in Seattle for Easter weekend. It was a beautiful day in the Emerald City. 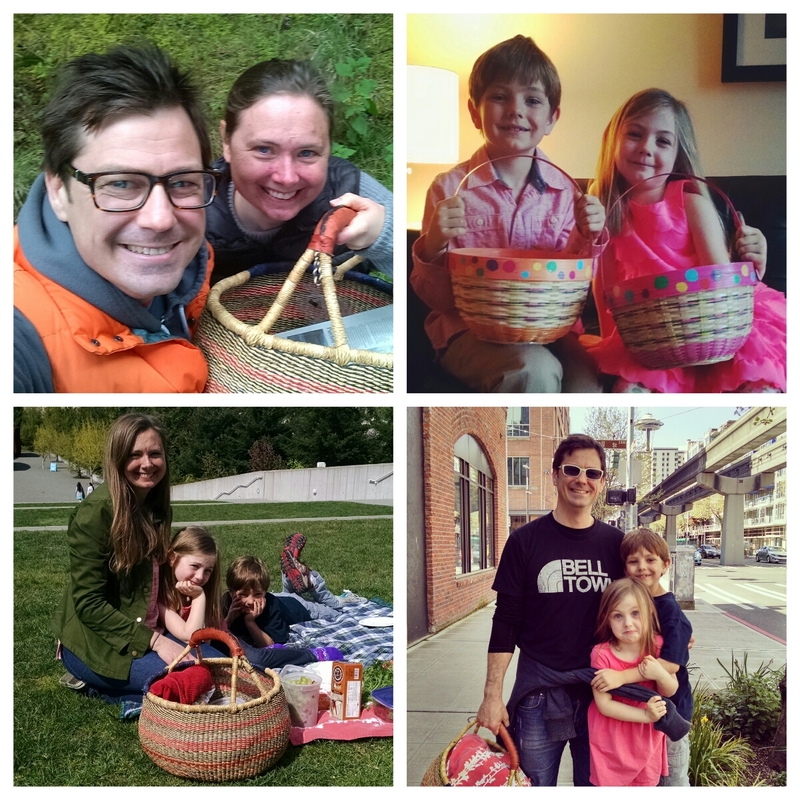 We spent the day at many of our old haunts, including the kids’ favorite park on top of Queen Anne – where we took in some little league baseball and soaked up some sun. 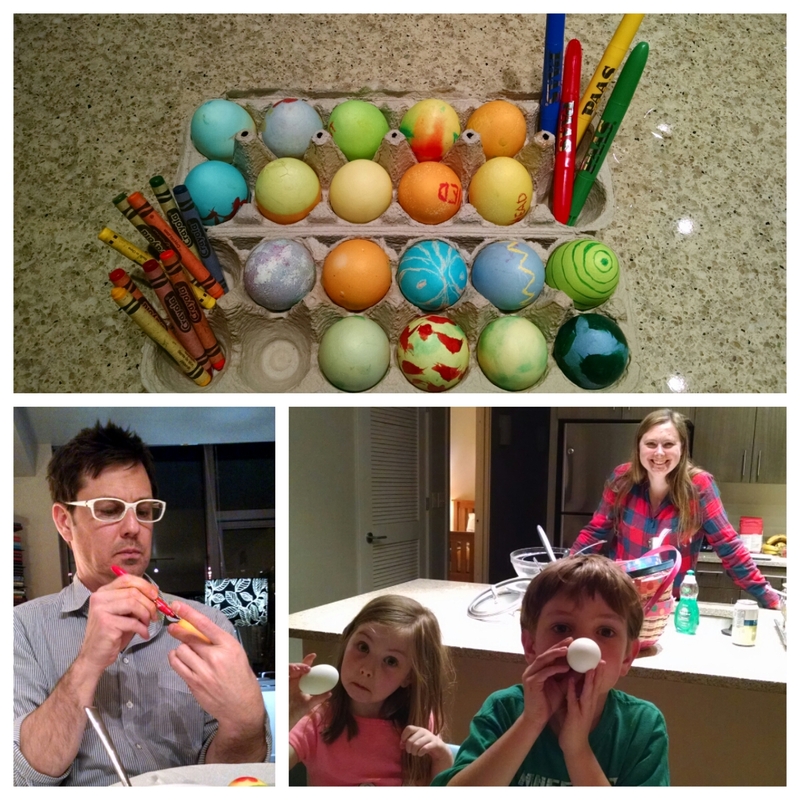 We ended the evening with some egg art and good laughs. Holy Saturday. The other day, as I walked down the hallway of Fry Lodge, I noticed somebody had fastened a calculator to Ruby’s bedroom door, and I smiled. 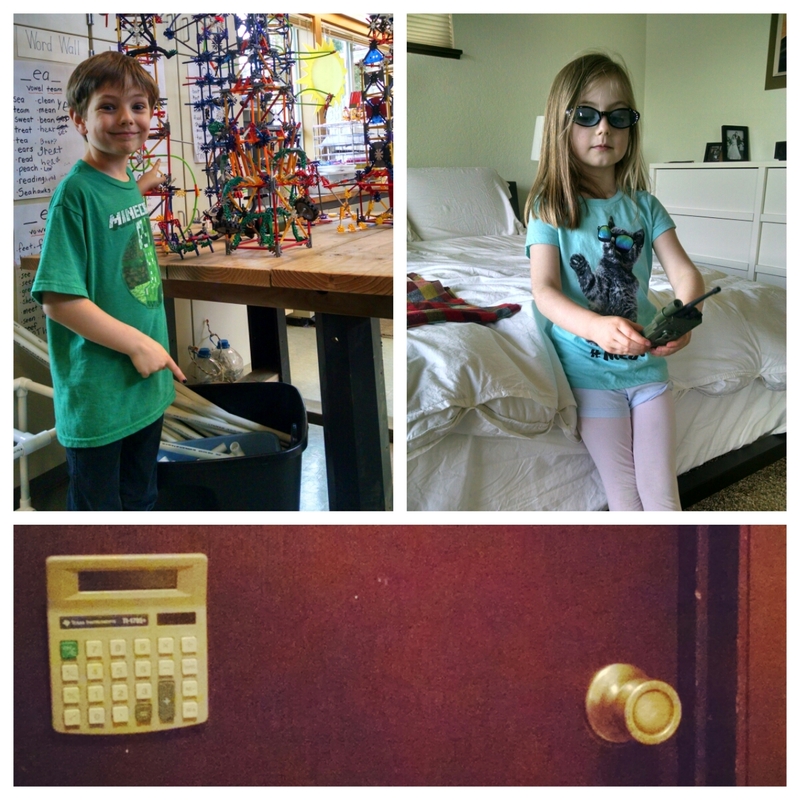 After a while Ruby and Henry came into my office to inform me that they had installed a keypad on the door, which was to be used for typing in the passcode to gain entry. They then told me their passcodes, which happen to be the same as their school hot lunch codes. I appreciated their creativity, if not the importance they place on bedroom security. Today, Kristine and I participated in both Henry’s and Ruby’s parent-teacher conferences. Keeping with the precedent set in the fall, they both remain ahead of the curve – at least a grade level above their peers in all subjects and social skills. We are very proud to be the parents of these two characters. 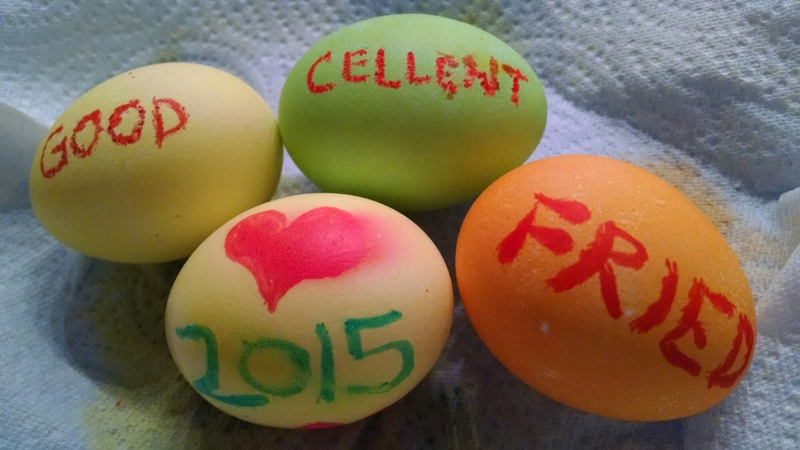 Keep it up, kids.